11 February 2005 - This "www.larips.com" web site released and announced as a resource to accompany the Oxford article, with clarifications and news. The initial pages in this release were the sections from the article's manuscript that Oxford University Press had chosen to eliminate from their edited version. I was therefore free to recycle these parts onto my own web site. [Cube-puzzle layout (a concise model of the keyboard-tuning problems to be solved)]. [Practical instructions to set the temperament by ear]. March 2005 - Goshen IN: feature article "Bridging traditions: organ music connects generations of worship" by Anna Groff, for Goshen College Bulletin. Introduces the Taylor & Boody organ Opus 41 on campus. 22 March 2005 - Elkhart IN: feature article about the Goshen College organ, by Marilyn Odendahl in The Elkhart Truth. The story has been picked up in Louisville and Indianapolis on March 22, and Fort Wayne on March 23 and March 25. 20 April 2005 - Goshen IN: feature article about the organ and this discovery. A longer version of the article is printed in the spring issue of the alumni Bulletin. See also the article in the same issue, "Bridging traditions: organ music connects generations of worship". 10 June 2005 - Harrisonburg VA: Daily News-Record feature "Cracking A Musical Code" by Martin Cizmar. Also reproduced at Eastern Mennonite University's news pages as part of the Bach Festival promotions, and at Shenandoah.Com. 13 June 2005 - Staunton VA: Staunton News Leader feature "Tuning into Bach" by Alice Mannette. 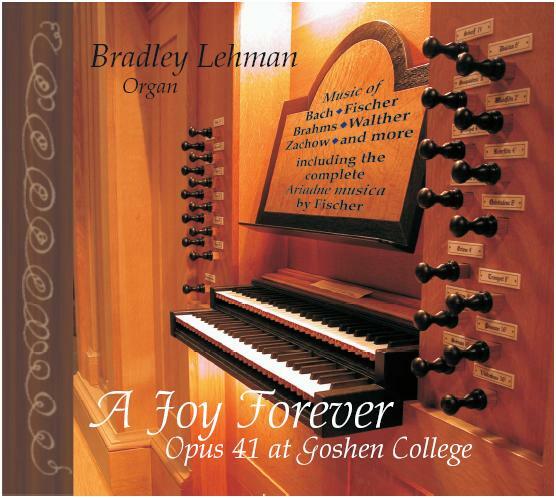 August 2005: Goshen College feature about their Opus 41 pipe organ. The article is reproduced from the dedication-week booklet from May 2005. August 2005: Updated! Errata and clarifications for "Bach's extraordinary temperament: Our Rosetta Stone"
August 2005 and May 2006: correspondence in Early Music by other writers, remarking on the February/May 2005 article. 10 October 2005: The New Yorker magazine. Apparently the fiction piece "Early Music" by Jeffrey Eugenides is inspired by the present research...and it reproduces the temperament layout faithfully: "Rodney, who was capable of keeping straight the 1/6 comma fifths of Bach's keyboard bearing (F-C-G-D-A-E) from the pure fifths (E-B-F#-C#) and the devilish 1/12 comma fifths (C#-G#-D#-A#), had no trouble performing the following calculation in his head: Each one of the Mice 'n' Warm mice sold for $15." C t G t D t A t E t B o F# o C# t G# o Eb t Bb o F t C (where t is 1/8 PC on average, and doing it by taste and feel rather than any rigid mathematical scheme). 5 June 2006 - Musica Omnia. Bach: Well-Tempered Clavier, Book 1 played by harpsichordist Peter Watchorn. Booklet essays by Bradley Lehman (November 2005) and Peter Watchorn. 1 August 2006 - BBC Music Magazine, August 2006 (Vol 14 #13). Feature article "In Good Temper" by Bradley Lehman, presenting this temperament from a practical angle as a blending of C major and B major scales. 2 August 2006 - "Bach's Art of Temperament" web article by Bradley Lehman. The longer and more detailed draft: source of the BBC Music Magazine article. 2 September 2006 - American Record Guide September/October 2006, pp 28-29. Feature article "Cracking the 'Bach' Code: Breakthrough WTC Recording" by Peter Catalano, reviewing Peter Watchorn's set of WTC book 1. This issue of ARG also includes Rob Haskins's reviews of LaripS 1002, LaripS 1003, and Richard Egarr's set of Goldberg Variations. Peter Catalano's collection of articles is here. November 2006 - Piano Technicians Journal, "The Bach Temperament?" by Fred Sturm. Additional comments and corrections by Bradley Lehman were posted in the Piano Technicians Guild discussion group in December. 13 November 2006 - How Equal Temperament Ruined Harmony, And Why You Should Care by Ross W Duffin. W W Norton, ISBN 10: 0-393-06227-9, ISBN 13: 978-0-393-06227-4. 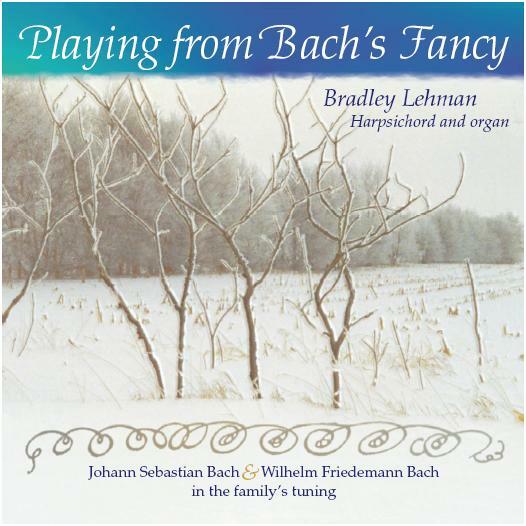 See also his web letter to readers of the book offering listening examples: comparing this Bach temperament with equal temperament, in music by Wagner/Liszt, Brahms, Debussy, and Gershwin! 11 December 2006 - Mention in Dave Benson's book Music: A Mathematical Offering. Cambridge University Press, 2006. ISBN 0521853877. See also the free online version as PDF, maintained by the author as a post-print update. December 2006 - article "Quinten mit Schlaufen: Zu Johann Sebastian Bachs 'Wohltemperirter' Stimmung" by Klaus Miehling, in Concerto - das Magazin f�r Alte Musik 23:211 (December 2006-January 2007) p.34-40. Miehling apparently agrees with my opinion that Bach's drawing is a diagram, but (like the earliest outspoken correspondents in Early Music) he tries to "improve" the solution by presenting different interpretations. He reads the diagram in either direction, with various transpositions, after dismissing the "small c" capitalization stroke that is a red herring for so many others as well (and not, in any case, essential to my argument!). Miehling presents a table of major 3rds in the home keys in Bach's compositions, as if the frequency of use proves anything. Music is more complex than the use of isolated tonic, dominant, and subdominant triads, duly measured in cent offsets from purity. Miehling's focus is on static triads, not the scale membership requirements of any of the named notes used in Bach's compositions. (Which compositions require D# and A#? Which compositions need flats and sharps all to work smoothly, both melodically and harmonically, through enharmonic swaps? How does any transposed solution compare with any other known temperaments in Bach's milieu?) Miehling's superficial analysis doesn't approach such questions, or much else that I covered in my printed part 2. February 2007 - article "Better Than the Da Vinci Code" by John Marks, in Stereophile magazine, pp 47-53. Part of the regular bimonthly "Fifth Element" series. 5 March 2007 - Cambridge University Press. J S Bach: A Life in Music by Peter Williams. ISBN-13: 9780521870740. Pages 336-7 discuss the first printed half (only!) of the "Rosetta Stone" article; cited also in the References section on page 389, but only that first half. Most of Williams's objections here -- about the Bach drawing, and the reasoning in Lehman's presentation -- were already answered in the second half of Lehman's article! My response is on the Bach temperaments page. May 2007 - Clavichord International. Article by Miklos Spanyi, "Kirnberger's Temperament and its Use in Today's Musical Praxis" (dated 2006 at the end of the article). My response is on the Bach temperaments page. March 2008 - Bernhard Billeter's article "Zur 'Wohltemperirten' Stimmung von Johann Sebastian Bach: Wie hat Bach seine Cembali gestimmt?" appears in the March 2008 issue of Ars Organi, pp 18-21. It addresses some of the argument in the printed portions (only!) of my main 2005 article. My response is on the Bach temperaments page. June 2008 - Peter Bavington's review of books by Ross Duffin and Alexander Mackenzie is in the British Clavichord Society Newsletter, June 2008. On the references to my work inside Duffin's book, Bavington complains: "Readers will be left with the impression that the question of Bach's keyboard tuning has been settled without doubt, which is very far from being the case." March 2009 - Juilliard school newspaper, "The Ongoing Quest for Bach's Temperament" by Tamar Halperin. June 2009 - Music Theory Online, "Discrete Fourier Transform and Bach�s Good Temperament" by Emmanuel Amiot. The author presents a way to measure "Musical Sameness of Scales" as a single number, in assessing the way temperaments circulate smoothly (or not) through all 12 major scales, and by extension all minor scales as well. He shows -- no more and no less -- that my Bach temperament is a useful general solution for playing music of extensive chromatic requirements, i.e. that it addresses the problem presented by Bach's own music. My responses to the major publications are summarized on the responses page.